Imagine spending four billion years in school. That is a lot of education, and it forms the baseline for everything around us as we know it. For billions of years, nature has been adapting and evolving to changing temperatures, sea levels, climates, canopies and weather patterns, constantly learning and adjusting to survive. Building has evolved for a few thousand years, starting with rocks, peaking with glass-clad high rises across the globe, and now settling back into an attempted harmony with nature. We are optimistic about the trend of bringing nature into the space through Biophilic Design, and we are eager to see more widespread adoption of Biomimicry on its heels. In this blog post, we'll recap the most important takeaways from the 2019 Whizard Summit Event and the top three things we plan on implementing based off what we learned. Sinter is Coming - is the season for quartz winding down? As the cult following Game of Thrones amps up to its epic conclusion, with warring factions fighting for survival and hoping to emerge the victor, we thought it coincided nicely with the rise of sintered stone in our market. We partnered with our friends over at Modern Surfaces to discuss the rise of sintered stone. Fresh, crisp, bright and light. That's right folks: spring is upon us and we're getting sprung with this month's vignette. Top 10 is so 2017. 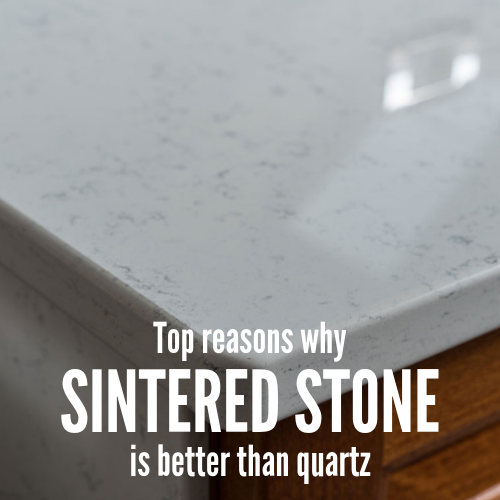 Here are 11 reasons why Sintered Stone is better than Quartz. In August of 2018, we signed a lease on a warehouse in South Raleigh. At the end of October, we celebrated the transformation of this space into a state-of-the-art showroom, showcasing our portfolio of sustainable, healthy building materials. Below is a chronicle of our journey from blank walls to vibrant, engaging installations. Construction Downturn - Are You Ignoring It? Reports are coming out about slowed construction starts and new home sales dropping. Are you paying attention? Are you protecting your business? Or are you shrugging it off and saying it is just a temporary correction? Healthy, biophilic, sustainable, you name it: wood is good.